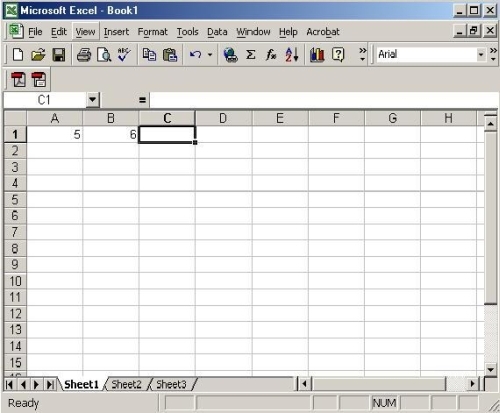 This trick comes in handy when you’re trying to do some calculations from data that are located in different excel worksheets. 2. Worksheet 2 has 5 and 6 in cells B1 and B2 respectively. 4. 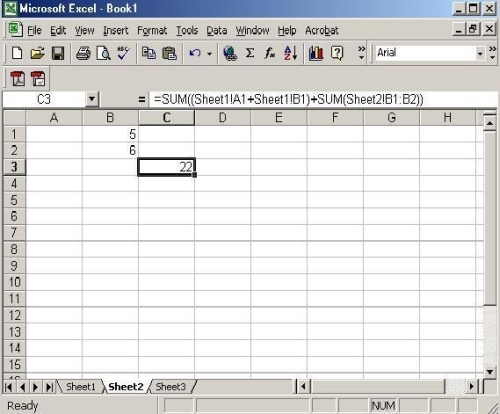 The result will be that cell C3 in worksheet2 will have the sum. 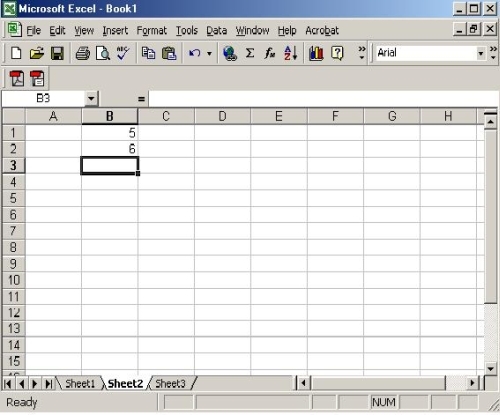 The real trick is to use the worksheet name in your excel formula. Study step 3 and you’ll get what I meant. 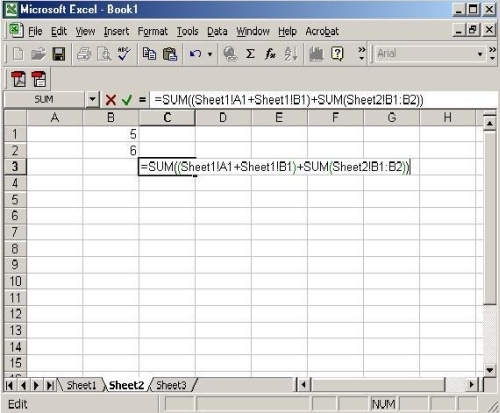 In this case, the worksheet names were sheet1 and sheet2. If you have different worksheet names, change accordingly in your formula.